« P R I M E R – a foretaste of Chain Reaction! Image licensed under Creative Commons Attribution 2.0 Generic licence. It may appear an unsightly cross between a Mark I Mini and a set of metallic wardrobes, but within its architecture the Ferranti Pegasus heralds the birth of something which continues to alter the lives of millions – this writer at this moment included – in the 21st century: desktop computing. Though the Pegasus, requiring an organised cooling system, dedicated power supply and a large room to operate, is some distance away from what would eventually come to ply such desktops, it is something – possessing both the first general purpose CPU and digital Draughts-playing programme – of a cultural and technological precursor in regard to its use of science for more casual ends. To explore this further, we can first look towards what the Ferranti Pegasus was not. Primarily, it was not Alan Turing’s seminal ACE, with its eventual use – to extract accurate aircraft trajectory readings for the benefit of developing anti-aircraft measures – ensuring it, in its varying guises, remained firmly in the grasp of the Radar Research and Development Establishment. Nor was it Manchester University’s ATLAS; a direct, state-fuelled response to IBM’s offerings to both the U.S. Atomic Energy Commission and NSA in the mid-1950s. It was also not, much unlike the code breaking and aptly-named Colossus Mark 1, something intended solely to extend the reach of the British military. 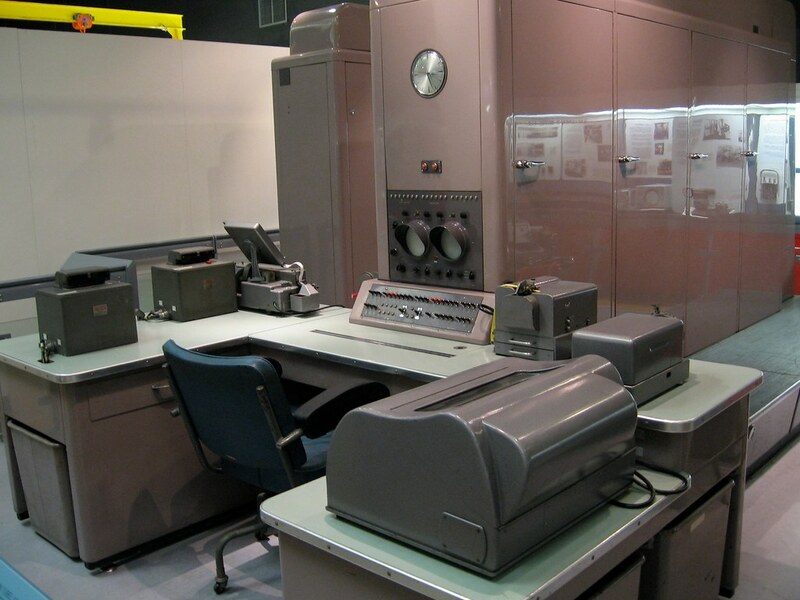 Yet the Pegasus – a medium-sized automatic digital computer – was born out of this context; a collective, underlying market emphasis upon mathematics, military capabilities and scientific research. Co-creator Christopher Strachey had a differing vision for the Pegasus; it was to be a logic-problem solving computer. From this point forth, challenges of a more practical nature – such as that posed by hosting the Royal Insurance Company’s expansive database, calculating the SR.53’s tail plane strength and playing Draughts – took precedence above the prospect of facilitating effective radar reconnaissance in its development. Instead, the Pegasus – with its accompanying programming manual drawing specific attention to the computer’s capacity to be used for ‘business and commercial data-processing, in technical [and] in educational work’ – saw the significance of the scientist following production fade. This, in line with Strachey’s commitment to logic-problem solving, was replaced by a new commitment to end-user-friendly design naturally suited to wider public use. The notion of the consuming, working citizen – served by an emphasis upon what Pegasus developer Ian Merry termed ‘reliability, economy and performance’ in a 1992 seminar – now acting as a genuine force of production upon the output of science. But if the post-war citizen was now to alter, if only in part, science’s product here, science – with some state assistance – would come to ensure this relationship became one firmly entrenched in reciprocation. The commercial uses envisaged in the Pegasus programming manual proved eminently compatible with the prevailing aims of the National Research Development Corporation (NRDC): the government body charged with remedying the stark disparity between superior public sector technology and that found in private industry. Whilst their interest in the Pegasus would not go untested (see Anthony Gandy’s The Early Computer Industry) their determination proved not to be misplaced, being fuelled by a growing, pressing realisation. This epiphany was – as Simon Lavington paraphrases then Elliot Brothers MD Leon Bagrit in his book Alan Turing and His Contemporaries – that digital computing possessed the capacity ‘to be widely used [for] all sorts of manufacturing processes, making decisions and adjustments that had previously been carried out by human operators’. G.E. Felton’s reference to a ‘technological explosion’ in the preface to the programming manual amounted to a direct nod towards this potential; a disseminating of science’s new, digitised capability into the wider public domain. As per the NRDC’s mission statement, by the time the last of the 38 Pegasus units were sold in 1964, only 6 had found their way into government research departments. With the financial strength of the NRDC in mind, the specific fate of the remaining 32 Pegasus units from 1956-1964 – to operate within the realms of academia, banking, insurance and civilian aviation – thus came to be so not out of Ferranti’s sole desire, but also that of a willing state fuelling their endeavour. Alas, the old, dominant forces of production continued to hold some sway. But this story – of the Ferranti Pegasus, science and the post-war citizen – is not one of failure. When Bellerophon fell from his steed’s back, Pegasus was transformed by Zeus to exist forever as an omnipresent constellation, a looming, deified past. A similar, if marginally subdued fate was to befall our thermionic-valve computer as it swapped the offices of the Skandia Insurance Company for the retirement care of the Science Museum. The Pegasus and its offspring – the Ferranti Perseus, Sirius and Orion – galloped into the white-hot embrace of a Labour government now committed to ‘full planning and mobilisation of scientific resources’ supported by the new Ministry of Technology established the year of Ferranti’s final Pegasus sale. If this NRDC-esque mobilisation was to – as further asserted in Harold Wilson’s party conference speech of 1963 – ‘produce the new instruments and tools of economic advance’ as part of a ‘scientific revolution’, computing innovations á la that achieved by Strachey, Ferranti and the NRDC would come to see the symbiotic relationship between science and the post-war citizen strengthened ever further. Though this was a fledgling relationship – between man, machine and automation – that would require some future cultivation, its roots were laid with the Ferranti Pegasus; science forging, with a government push, a commercial, digital identity which would eventually come to be merged with that of the post-war citizen over the remainder of the 20th Century. IBM – with their faster, smaller, sleeker machines – would soon emerge from across the Atlantic for the first time. By way of a high-profile entrance into a now warmly receptive (if not white-hot) British market they would quickly, as Lavington asserts, ‘change things forever’. But the influence of the Ferranti Pegasus remained; the underlying warmth of this climate was something for which IBM would have – as much as they did for their units’ now familiar general purpose CPUs – our trailblazing, Draughts-playing, flying horse to thank. Member of the Science, Power and Politics in Twentieth Century Britain module.